You may be shocked to read that dog training and dog behaviour treatment is an unregulated industry. We have no industry wide recognised qualifications and no written standards of conduct that apply to any of us practicing with pet dogs. There is no recognised period of apprenticeship or study and no exams to pass before we are able to set up a business, work with your dog and charge for our services. If you have a complaint there is no governing body to which you can take your complaint. You will find that some trainers belong to organisations that have developed their own qualifications, codes of conduct and committee to review complaints but these are fragmented and most have little time or money to apply stringent checks on their members. Membership of these organisations sometimes has little to do with qualification or practice and is maintained simply by paying an annual membership fee. As a pet owner looking for help, it becomes your responsibility to check out your chosen trainer and figure out what ethics guide their practice. What are ethics in dog training? Constantly turning up late for appointments or changing appointments without due notice or good reason. The internet and social media have gifted us with the luxury of choice, however, experts know that too much choice overwhelms, and we need some help. Reviews usually based on the traditional 5-star system were introduced to assist with decision making. As someone looking for help with their dog there are some common traps with the review system that demand our attention. With the benefit of 19 years in dog training and a passion for educating the next generation I know that ethics are not set in stone. If one keeps learning, questioning and challenging the status quo then ethics will change. In general ethics change for the better, people improve their practice, build their skills and provide thoughtful effective help. Occasionally, ego takes over and the practitioner may become more interested in self-promotion than the best interests of the client and dog. Were the behaviour changes put in place long lasting? Did the trainer take account of your needs or requests? Was the behaviour change strategy, easy to live with? Are you and the dog happier for the experience? Would you still recommend this person? Is ‘modern’ a predictor of sound ethics? Sadly not. We often hold the forefathers of dog training up as unethical without realising that their methods were of their time, quite simply they didn’t know any different or have the quantity and quality of research and information that we do. I can read a book penned in 1971 by a trainer who is using a choke chain and find myself nodding in agreement with her principles (not methods) behind training a dog. Sometimes I feel I have more in common with this generation than the current generation who can justify their practices behind technology, ‘qualifications’ and science. Ethics isn’t always about what you say you do, pretending to be someone you are not, is too easy in our edited for social media world. Dog trainers are people, and people are good at changing their behaviour for short periods to earn money or be accepted into a group. Old style training, even punishment-based training doesn’t have to be unethical. The mindset behind the training is much more important than the methods, it is much easier to change a person’s methods than it is to change their mindset. When I found a group of like-minded trainers who could offer me a new way to practice, the change in ethical stance came naturally. I have seen this process happen to most of the dog trainers I mentor. The trainer does not like to be questioned or challenged. We can all be guilty of any of the above without being unethical in our general practice but if these repeat on a regular basis you may want to ask some more questions. My first dog in training was a Cavalier King Charles Spaniel, he was a family pet and taken along to training classes because it was what one did with a puppy. Upon joining the class there was no expectation that I would get well and truly absorbed in learning about dogs and their behaviour or fortunate enough to turn this passion into a full-time profession. I was lucky the training club used only food reward training, and this influenced how I was prepared to train a dog in the future. The lessons opened my eyes to how much could be taught without force and coercion. As my passion for training grew, my ideas on what was ethical began to change. I was moving into ‘competition’ circles where winning and getting the right result could sometimes outweigh what was in the best interest of the dogs. I allowed people who didn’t know me or my dog very well to dictate how we should be together. I attended classes where the teacher used clicker and treats but also insisted that I pin my dog down or ‘check’ them for ‘bad’ behaviour. The underlying message was that positive training is fine if it is getting the results the person wants. It was a strangely attractive mixture of positive training techniques combined with traditional practices. Underpinning it all was a sense of community and connection with a social group. These social groups can be very influential within dog training and certainly caused me to let my ethical guard down during this period in the dog world. Discontent with the system and the effect on the dogs, led me to a group of thoughtful, questioning trainers. Working with these folks my ethics changed yet again and started to transform me into the trainer I am today. My ethics will continue to change and grow but today the following provides a sound foundation for my work with clients, other trainers and all the dogs. 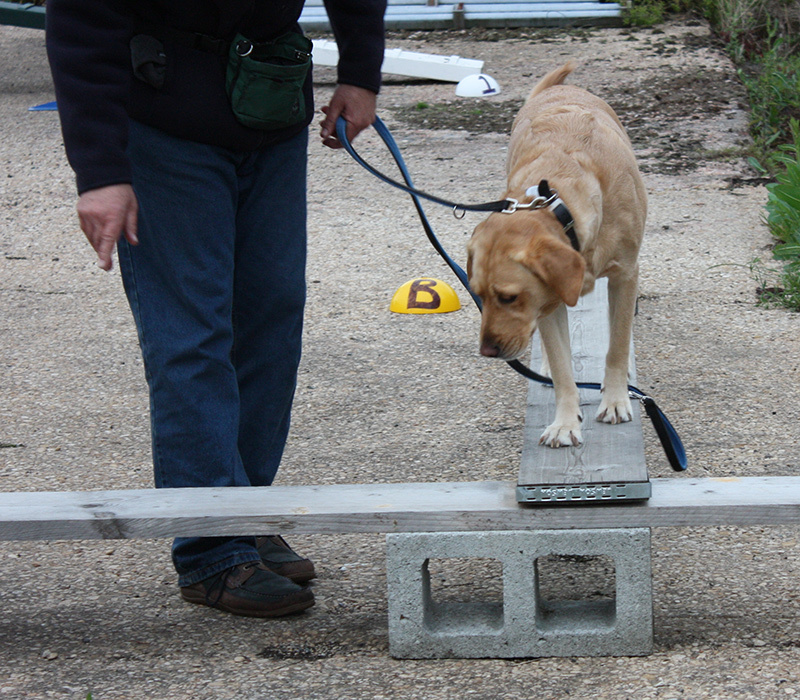 Create confident dogs who find joy in learning.